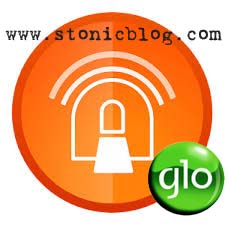 Which only users with Premium Subscription Accounts are currently enjoying it, but today I will be posting something more faster, reliable, which you can use to download very large files on the Internet especially when you have a good Glo 3G network coverage in your location. The good news is that it’s been working for some days now and still working perfectly as I write this post, I myself has used more than 5GB for just 2 days. Leave other settings as they are and save, set as preferred connection. 1. 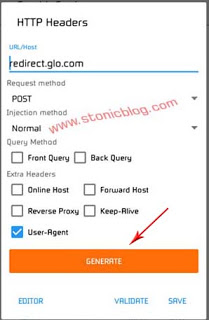 After full installation of AnonyTun, locate and open it. 2. Click on STEALTH SETTINGS at the top right hand side of the app and do the followings. 3. 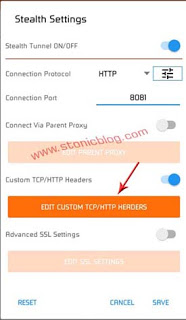 Now click on EDIT CUSTOM TCP/HTTP HEADERS button and and input the settings in HTTP Header Dialog-box. Updated: Uncheck (un-tick) "Forward Host, Keep-Alive" but if yours disconnects frequently, then tick them back. 4. Hold on, just a few steps left for you to enjoy AnonyTun… Now click on GENERATE Button, then VALIDATE afterwards click on SAVE. 5. Now it will take you back to the Stealth Settings Dialog-box where you started… click on SAVE again on the Stealth Settings Menu, you will be taken back to the Main Page of AnonuTun now. 6. You should see the CONNECT Button right in front of you with Stealth Settings ON at the top… Hit on it, you will be connecting within few seconds. Note: TX means Uploads while RX stands for Downloads.